You've got style! Now own it! Turn heads wherever you go with unique design elements. A two-tone floating roof, a wraparound visor look and a bold V-motion grille make sure that KICKSTM is like nothing else on the road. Add in available LED headlights with a distinct signature line and the dramatic effect is complete. Stand out from the pack with the option of a striking two-tone roof. 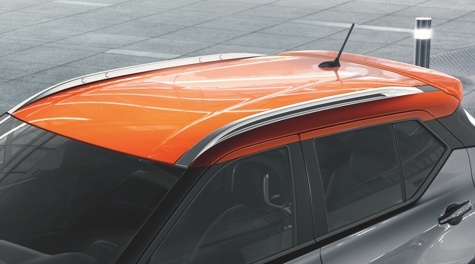 Mix and match roof and body colours to strike the perfect combo that’s as bold as you want to be. Make a brilliant entrance with the boldly designed V-Motion Grille. It directs the eye to sharp edges cut from the hood and headlights into sweeping, sinuous lines flowing toward the tail. The console flows from a unique centre stack to a gliding wing dash with PrimaTexTM and contrast stitching. 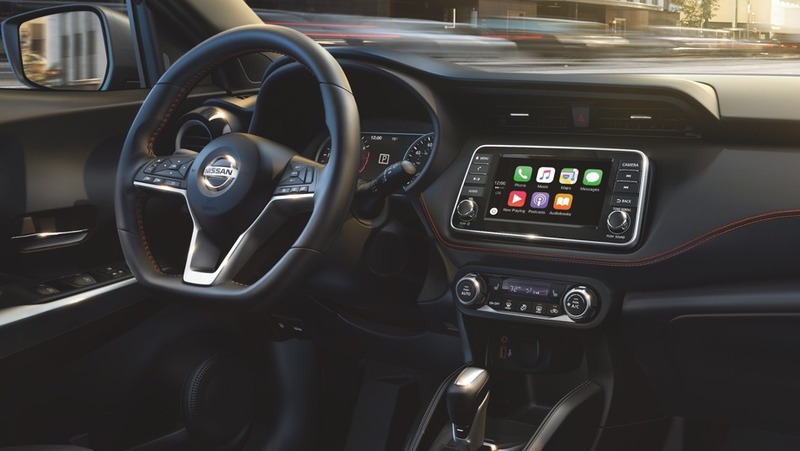 Your media and controls are easily accessible from the floating 7” touchscreen display so that you’re not only connected and comfortable, you’re surrounded in chic. 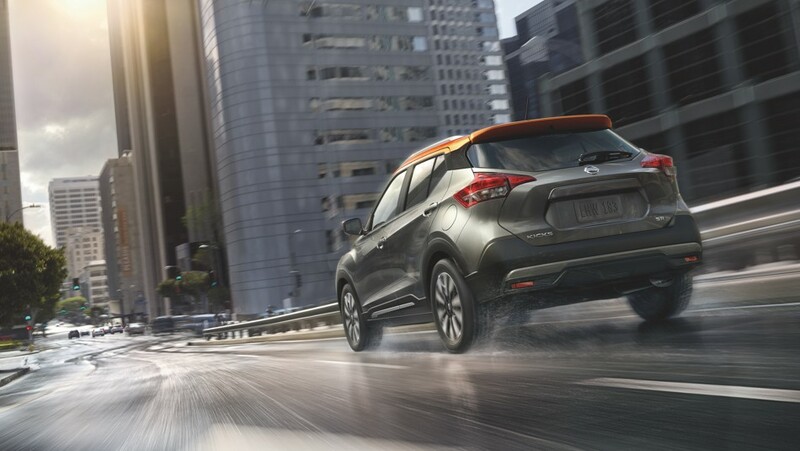 Weave through traffic with the power to merge and the fuel efficiency to keep going. Nimble handling and responsive steering make driving downtown fun. Electric power steering cuts down on the amount of power needed from the engine – that means more kilometers out of every tank. Plus, depending on how quickly you’re driving, it automatically adjusts the steering to help you hug the road through every turn. Need a little help starting from a complete stop on a steep hill? Hill Start Assist will keep your vehicle in place until you're ready to go! Whether you’re alone and rocking out to the UltraNearfield™ in-headrest speakers or you’re enjoying music with others, the available Bose® Personal Plus Sound System puts you in control of your experience. 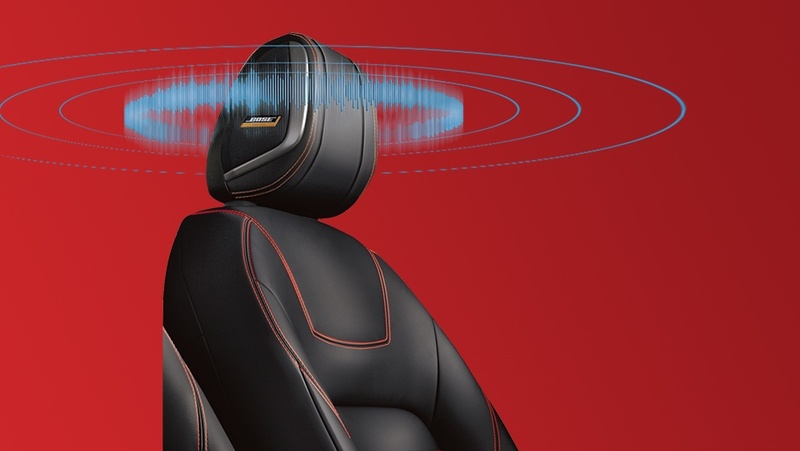 Simply adjust the PersonalSpace® Control to suit your situation and get ready to roll. 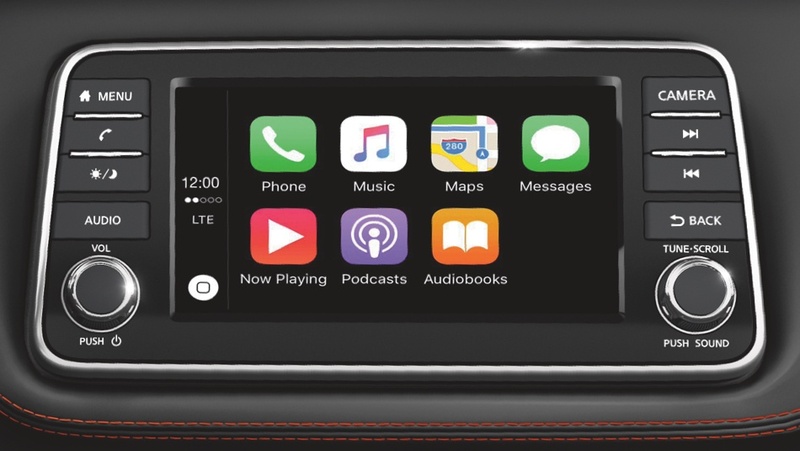 Connect your compatible smartphone to your KICKSTM to enjoy all the things you love while you drive. 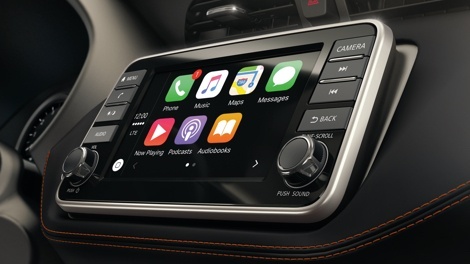 Available Apple CarPlay™ and Android Auto™ help you safely access maps, make calls, send and receive messages, and listen to your music. They’re the hands-free way to bring your world along for the ride. 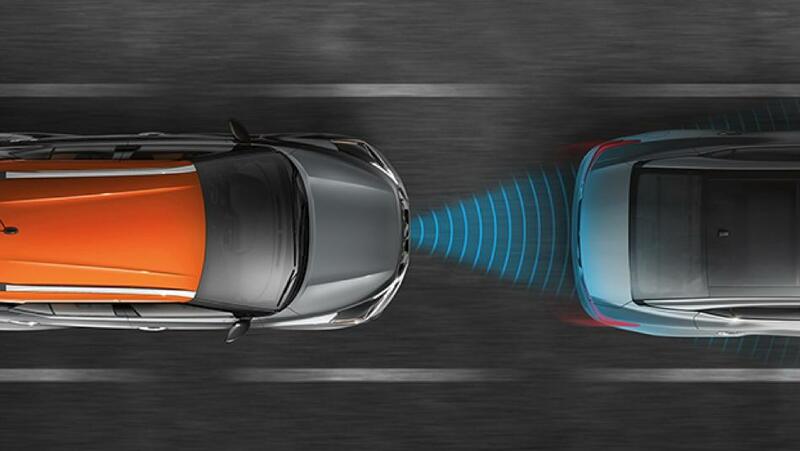 Nissan Intelligent Mobility empowers you with advanced safety technology so you can master city traffic. You'll make every move with greater awareness and get a little help when you need it most. All of this gives you more confidence to relax on your journey, knowing KICKSTM has your back. 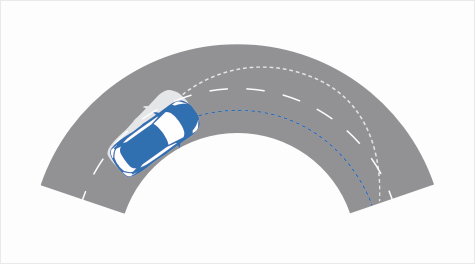 This system can help save you from a potential frontal collision. It keeps track of your speed, and the distance between you and the car ahead, and can let you know if you need to slow down. 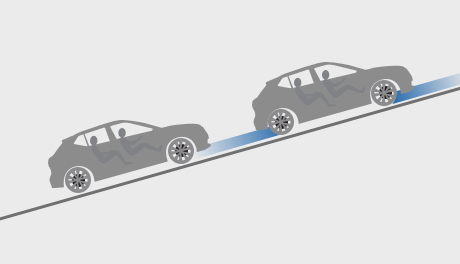 It can even automatically engage the brakes to avoid an impact or reduce the severity of the collision. 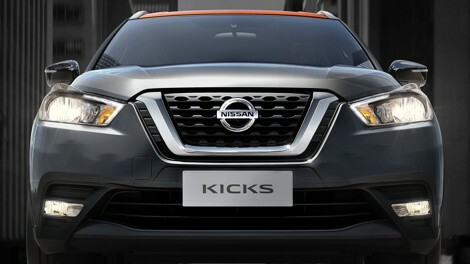 Let the Nissan Kicks be the eyes on the back of your head as you reverse out of a parking spot. Rear Cross Traffic Alert watches around the rear of your Kicks, warning you if it detects any vehicles approaching from the right side. 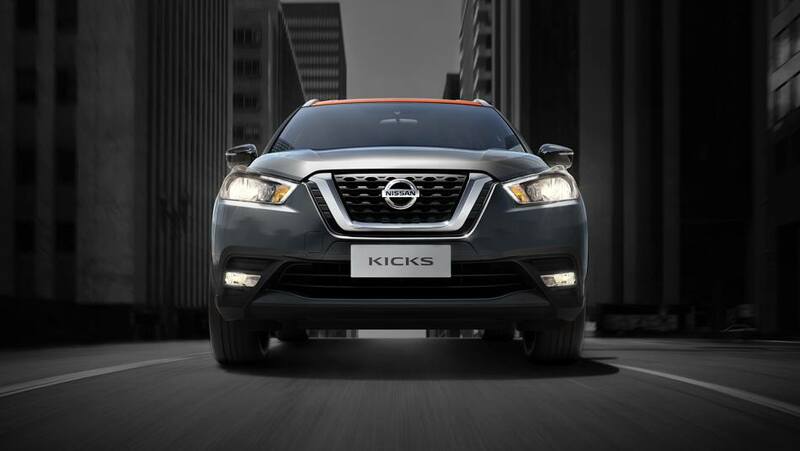 Change lanes with confidence knowing that the Kicks is keeping an eye on your blind spot. When you signal to change lanes, it'll beep to let you know if it detects a vehicle where you can't see it. Getting into tight urban parking spaces has never been easier. The Available Intelligent Around View Monitor with Moving Object Detection uses four cameras to give you a virtual 360 birds eye view of your vehicle. 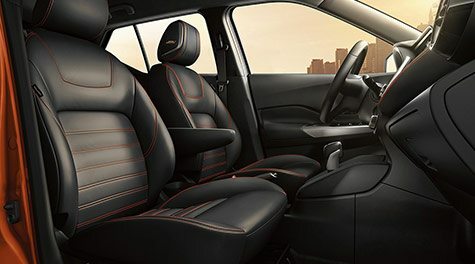 Maneuver confidently with close-ups of the front, rear and curbside views. The system also gives you a heads up when it detects something moving near your vehicle. Offers available from October 2 - 31, 2018. ^Payments cannot be made on a weekly basis, for advertising purposes only. Representative monthly lease offer based on a new 2018 Rogue S FWD at 0% lease APR for 39 months equals monthly payments of $320 with $2,495 down payment, and $0 security deposit. Lease based on a maximum of 20,000 km/year with excess charged at $0.10/km. Total lease obligation is $11,926.